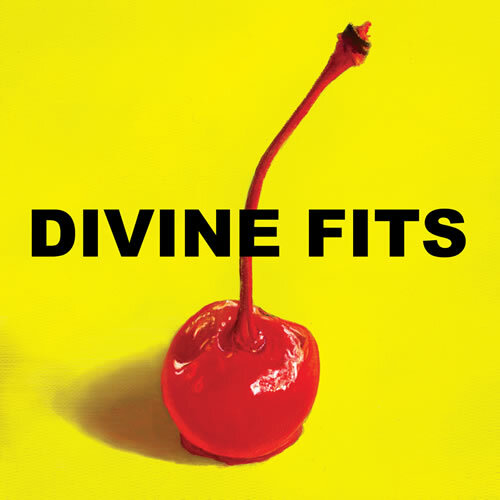 I didn’t even have to listen to A Thing Called Divine Fits today on my drive to work if I didn’t want to. I know it all. Let me say that again: I know it all. Every chord, every note, every snare hit, every breath. It’s that insanely catchy – it’ll get into your head and never leave. This is not an exaggeration: I’m humming “Would That Not Be Nice” right now. Track 3. It’s a Britt Daniel–led tune. He does this weird effect on some of the vocal lines. I can hear it now … without hearing it. 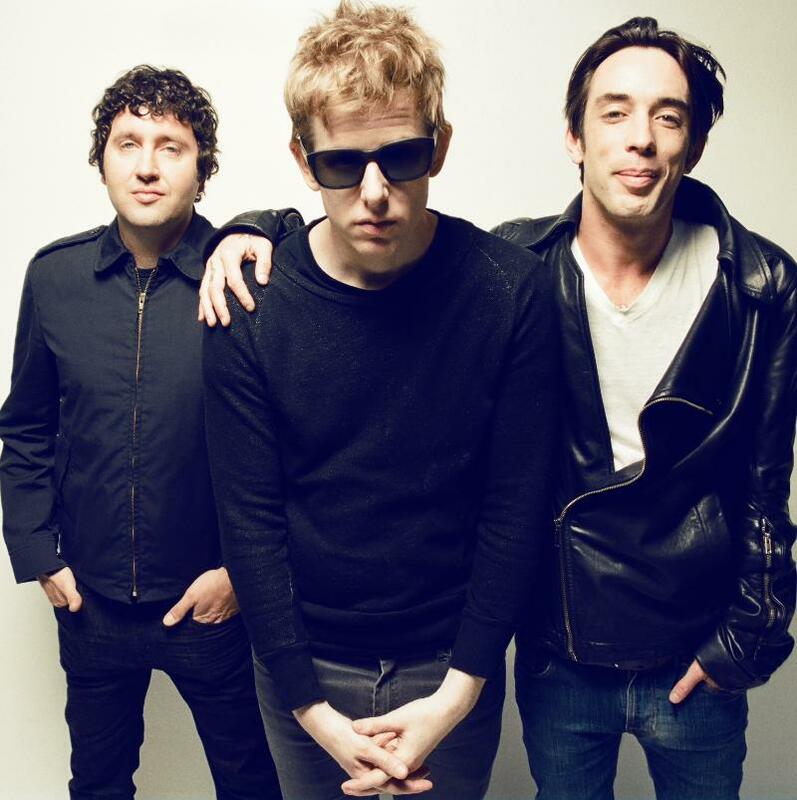 But let’s talk about Divine Fits, shall we? I’ve already mentioned Britt Daniel, Spoon leader, and the other members make this a veritable supergroooo… Guh. Isn’t it in all the press? I don’t wanna say it. So, the band also features Wolf Parade/Handsome Furs singer/guitarist Dan Boeckner, and New Bomb Turks drummer Sam Brown. (No disrespect to Brown, whose drumming is solid if unspectacular, but this is Boeckner’s and Daniel’s show, and will thus be the last time I mention him.) And you don’t expect anything other than pure, unadulterated quality from these folks, do you? You don’t, and neither do I. I’m going to let you in on a little secret about that: We’re not disappointed. So truth be told, Divine Fits sounds quite a bit like Spoon on Daniel’s songs, and quite a bit like Wolf Parade (sometimes Handsome Furs, like on opener “My Love Is Real,” but mostly Wolf Parade) on Boeckner’s, which – dun, dun, DUN! – is a real surprise, isn’t it? I’m pretty much just sitting here wasting your time with my word count, because if you’re not familiar with Spoon or Wolf Parade, just get out. I’m not even being snobby. If you’ve read this column, or if you’ve listened even passively to independent rock music over the past decade plus, you know the stylings. Britt Daniel sounds like he’s perpetually wearing sunglasses. Dan Boeckner’s songs sound like he’s perpetually smoking a cigarette and peering through his greasy bangs. In fact, that’s the style for this record, and here are my tags for this review: wearing sunglasses, smoking a cigarette. It’s pointless to worry over this. You’re just going to enjoy it, no questions asked, really. Whether it’s the Ga Ga Ga Ga Ga throwback “Flaggin a Ride,” featuring Daniel doing that exact thing, and probably not metaphorically, or the explosive “What Gets You Alone,” which probably would have been Boeckner’s best song on At Mount Zoomer with its overdriven guitar bursts overlapping overdriven guitar bursts (maybe the best song on At Mount Zoomer period), you’re steeped in quality songwriting. The weird thing though is that, unlike Wolf Parade, Daniel and Boeckner don’t do a 50/50 split on singing duty, with Daniel leading only four of eleven songs (although it’s difficult to tell who’s vocalizing on the spacey [and awesome] near-instrumental closer “Neopolitans”). It’s hard to complain when “Baby Get Worse,” the acoustic-guitar-only “Civilian Stripes,” and monolithicly dim (is that even possible?) “For Your Heart” anchor the heart of the album. And Daniel is spot on 100 percent of the time anyway. Even on “Shivers,” which begins with the curious and potentially off-putting line “I’ve been contemplating suicide,” he’s tragically hip, and continues with a more Britt Daniel–like outlook with “but that doesn’t really suit my style; so I guess I’ll just act bored instead….” (Fortunately it’s a Boys Next Door cover and not an actual cry for help.) It’s an odd little song, simple chords, simple builds, simple everything, really, but it’s one of the catchiest, and Divine Fits make it their own here. I guess if you’re going to take away anything from this, it’s that the Fits are a solid addition to classic indie rock. (Wait – that’s dangerously close to “classic rock” – oh boy. My heyday is further and further in the rearview…) A Thing Called Divine Fits is solid front to back, unflashy, unfussy, and familiar. It’s pretty much rock music at its reliable finest, and a breath of fresh air into a (unsubstantiated blanket statement alert!) stagnant scene. (Puke.) Well fine, if you like indie rock, you’ll like this. That much is for sure. Perfectly acceptable indie rock. May (2-years-old) enjoyed it and began dancing the moment I put it on. Also, guess who’s seeing The Jesus and Mary Chain next weekend?